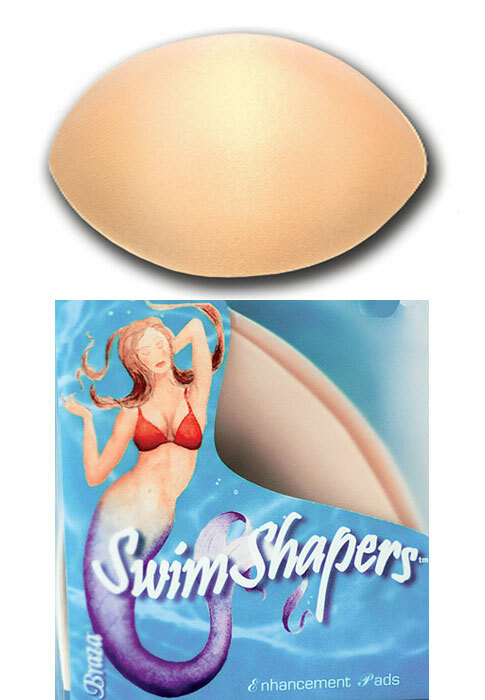 Braza SwimShapers Full Foam Pads are oval-shaped and come in a delicate skin colour, ideal for cultivating a more natural look. Sew them into your bikini top or bra and they will add up to a full cup size. They come in two sizes, A/B and C/D, and are packed in a vinyl bag in which the pads can be stored, transported and protected. Rating: 5 Seems very good quality and just what I needed! Rating: 5 I add these to bridal and bridesmaid dresses. I fit and alter these in my business work. Rating: 5 Excellent service the pads are comfortable to wear and add around a cup size they are a god send i will be purchasing more.